You don’t necessarily have to own a big garden to create an oasis of peace near your home and with a good strategy and some practical tips, you can design a stunning outdoor space, even in the tiniest urban backyard. So if you are not one of those lucky gamblers who won a fortune with no deposit free spins and you don’t own a huge mansion, you’re probably looking for tips on how to maximize the space in your small urban garden. It’s true that small gardens, patios or terraces are more difficult to design than larger spaces, but if you follow the advice below, you will be able to transform a tiny urban garden into an elegant and pleasant retreat to spend quite evenings in. 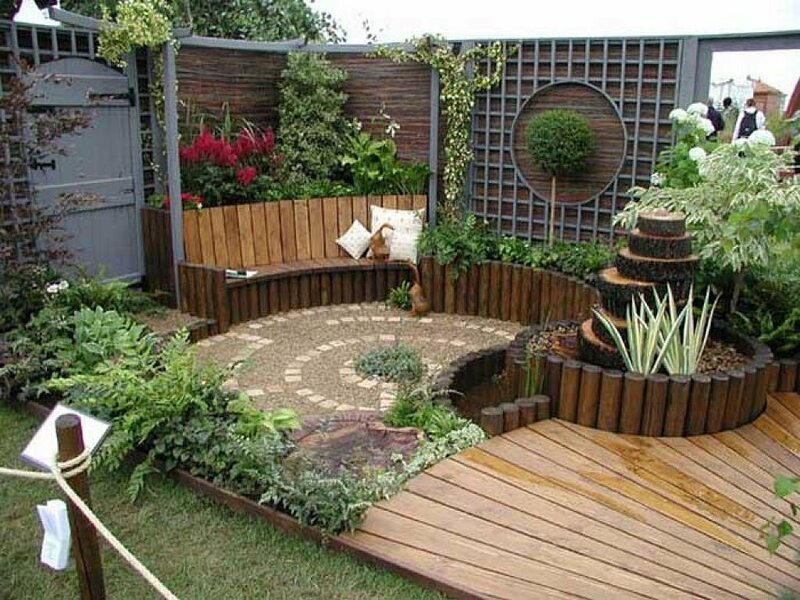 In order to maximize the space in your garden, first of all, treat that exterior space as if it were an interior room. As such, we advise using white paint for the walls surrounding the garden, as its brightening and lightening properties will trick the eye into believing they’re looking at a wider space. Similarly, white garden furniture has the same effect, besides being elegant and stylish. Although small, the urban gardens do have some advantages: they’re low-maintenance, they allow you to be creative, and you will inevitably be surrounded by greenery. A pallet or an over-the-door shoe organizer hung on a fence or wall can serve as good solutions for small gardens. Wispy ferns, vines, trellises or other climbing plants will create a pretty scenery for you and your friends. There are plenty of low-maintenance ‘flooring’ solutions for small spaces, so instead of lawn, you can use gravel, sandstone, wood flooring or pebble. These are not only easier to maintain, but also make renovation or removal an easy process. And as a substitute, add lots of potted plants, from the tiniest succulents to flowering plants and tall and bushy trees. As mentioned above, white furniture will help trick the eye and make a small garden feel lighter and brighter. If white is not your cup of tea, though, try choosing neutral colours to avoid creating the impression of a cluttered space. Additionally, using outdoor furniture that folds or stacks when not in use is a great way to save space in small plot.